Jessica has been a water baby since she was two years old and discovered diving in 2012 after snorkeling just wasn't quite enough. “The water is like home for me, a place where I feel alive and part of the universe around me." 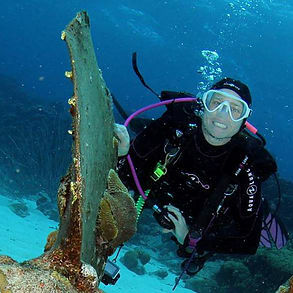 After getting certified, Jess started traveling with Sonoma Coast Divers, discovering new and beautiful places to dive in California as well all over the world—from Belize to Catalina, Fiji to Curacao. The diving bug bit Jessica hard so she took the leap, became a Dive Professional in 2015 and now teaches regularly. She also leads many of our Fun Dives and California Dive trips including Catalina and the annual Channel Islands weekend. "California diving is my favorite. I actually love it even more than any of the tropical diving I've done and really enjoy opening up the world of Cold Water Diving to people I meet and teach." 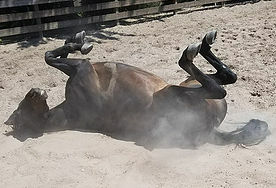 Besides diving, Jessica also enjoys another gear-intensive, expensive hobby—riding her ex-racehorse, Calabar. If she could figure out a way to combine the two activities, no doubt a third way to spend her time and money would appear.